Midsummer Night's Dream, Merchant of Venice, As You Like It, Twelfth Night, and The Tempest. Approaching the Bible with fresh eyes in big, book-length chunks. Theme: making arguments about music. Romeo and Juliet, Hamlet, Othello, King Lear, and Macbeth. The Odyssey, Aeneid, and Divine Comedy in English translation. Five Shakespeare plays and the films they inspired. An introduction to poetry and poetic forms. The second half of ECU's required composition sequence. Anyone who calls War and Peace dreary obviously hasn't read it. Nondramatic literature from English poetry's Great Decade, the 1590s. Homer's Iliad, Thucydides' History of the Peloponnesian War, Tolstoy's War and Peace, and Michael Shaara's The Killer Angels. Poetry and fiction for non-English majors. Lions face off with Christians in fiction and poetry. Eclogues, Georgics, and Aeneid in English translation. Co-taught with Dr. John Stevens (Classics). We will begin by looking at Elizabeth herself: in biography, in film, and in her own speeches. The rest of the course will be devoted to Edmund Spenser's Faerie Queene and, in particular, to Spenser's images of the Virgin Queen. Official title: "Shakespeare and the Renaissance." This a master's-level course on period styles in Elizabethan and Jacobean literature. Over the course of the semester, we look at paired readings from both periods, e.g., an early Shakespeare tragedy and a late Shakespeare tragedy; a play by Marlowe and a play by Ben Jonson; love poems by Samuel Daniel and love poems by Michael Drayton; satires by Spenser and satirical epigrams by Jonson; and lots of Donne. With readings on C. P. Snow's The Two Cultures and the rationale for a liberal arts education in an age of science. This course traces the visionary tradition in medieval poetry and fiction from the Quest of the Holy Grail and the Divine Comedy to the Vision of Piers Plowman and the Shewings of Julian of Norwich. The final weeks of the course will consider what happened to the visionary tradition in English poetry after the Middle Ages. 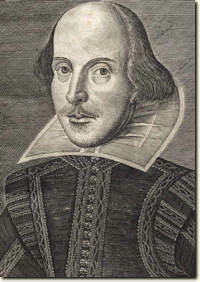 An introductory survey of Shakespeare's plays and poetry. Instruction will also be given in the proper conduct of foreign wars and coups d'état. Best known for his epic poem Paradise Lost, John Milton was also a forceful advocate of free speech who lost his eyesight arguing for the overthrow of the English monarchy. This course will explore the full range of Milton's writings in prose and verse, from Comus and the early lyrics to the monumental works of his final decades. A survey of European art and thought from Beowulf to Paradise Lost, this course will explore the relationship between intellectual movements (e.g., the Reformation) and period styles in painting and literature (e.g., mannerism and the baroque). In the process, we will look at a broad variety of writings and images, including works by Dante, Petrarch, and Chaucer; Spenser, Shakespeare, and Milton; Luther, Burckhardt, and Huizinga; Jan van Eyck, Hieronymous Bosch, and Michelangelo; along with the portraits of Elizabeth I.
Traces the evolution of Arthurian legend (including the legend of the Holy Grail) from its sources in Celtic mythology. Includes works by French and Welsh authors in translation. Stendahl, The Red and the Black; Feodor Dostoevski, Crime and Punishment; George Eliot, Middlemarch; Henry James, The Portrait of a Lady; Virginia Woolf, To the Lighthouse; Jean Rhys, Wide Sargasso Sea; Toni Morrison, Song of Solomon. The Canterbury Tales in the context of medieval culture (including the Roman de la rose and Boccaccio's Decameron). Race, religion, and sexuality in renaissance poetry from Wyatt to Milton. Homer's Odyssey, Virgil's Aeneid, Tasso's Jerusalem Delivered, and Milton's Paradise Lost, with an emphasis on the techniques of historical narrative. Writing workshop, with emphasis on argumentation. What I look for in an A paper, in a B paper, etc.